Home » Before the Bar Blog » Careers » In-house counsel job right after graduation? It is possible! In-house counsel job right after graduation? It is possible! In this article, I examine both my own experience in landing an in-house legal job right out of law school, as well as the insights of a fellow in-house young lawyer and an experienced executive at a national healthcare services company. I believe it’s possible for first-year attorneys to find an in-house legal job and that it’s never been a better time to do so. Most corporations are seeking ways to cut outside legal spending and, in doing so, are increasing their internal legal spend. According to the Robert Half 2017 Salary Guide, the national average annual starting salary of an in-house attorney with 0-3 years experience ranges from $87,000 to $114,500, without consideration to bonuses, incentives or other benefits. I started my job as an in-house attorney six days after taking the bar exam. It was through a winding path of mutual connections, several interviews, several job offers, and strategic negotiation that I ended up as an attorney for Naxos Music Group, the world’s leading classical music company. I was fortunate enough to have spent my time in law school building experience and a foundation in the entertainment field that made it an easy decision for my current employer to take a chance and invest in my potential as an addition to their staff. In my experience, it’s possible to get a job as an in-house attorney out of law school. The key is you need to find the right position and the right employer that is willing to take a chance on a new attorney without any “real” experience to offer. Tony Stimson is a young lawyer that currently serves as Senior Corporate Counsel at Kforce Inc., a professional staffing services firm out of Tampa, FL. After obtaining an LL.M. in International Law at Stetson University College of Law in St. Petersburg, FL, Tony started sending out resumes to job openings in his local area and in his targeted market of Washington, D.C. In describing his approach to the job search, Tony’s thoughts were that “even if I don’t want that job, or they don’t want me, that’s one more contact I made. They might know someone that wants my skillset.” Tony specifically target higher level paralegal positions where the employer wanted a self-sufficient worker with advanced legal research and writing skills. He applied to a job on LinkedIn for a company in Florida and heard back quickly. Tony admits that the job was not an attorney position. “It was a paralegal position,” he says. “But, I read the job description and saw they actually wanted an attorney, they don’t want a paralegal. I actually said that during my interview and got a good laugh.” The company ended up hiring Tony and turning the paralegal position into a full legal position. The general counsel that hired Tony had an LL.M in tax, which Tony found in researching and preparing for the interview. He says being able to bring up the mutual connection in obtaining an LL.M degree helped him connect with the general counsel and have an additional talking point. However, Tony points out one of the drawbacks to his job search tactic. “I accepted a lower salary because they had only budgeted for my position, even though they gave me an attorney position.” Tony recommends setting up the future of any position from the beginning and discussing promotions and salary raises based upon performance and improvement in the position over time. Eventually, even though he loved his job and the leadership, Tony had to branch out and find another job opportunity that offered a higher salary and faster growth potential. In making a lateral transition, Tony recommends utilizing recruiters because of their insight and connections into corporations looking to hire. After a period of about four months, Tony made the move to KForce following a recruiter’s recommendation of him for an open position. A recent episode of Legal Talk Network’s “In-House Legal” podcast (starting around the 3:20 mark) provided the perspective on this topic from more experienced attorneys. In the episode, Thomas Moriarty, Executive Vice President, Chief Strategy Officer and General Counsel for CVS Health, explains that historically corporations look for attorneys with at least five years of law firm experience prior to bringing them into an in-house environment. The problem with most corporations is that they do not have a formalized training program that would typically take place at a law firm. However, Thomas points out that he believes the trend is shifting. “It is now very possible to come in as a first year into a large corporate legal department,” says Thomas. Although CVS isn’t a corporation that has taken steps to bring on first year associates, there are others that have specifically designed programs for young lawyers right out of law school and following the bar exam. In 2010, Hewlett Packard launched a program specifically designed to bring first-year associates in-house. Unless a corporation has a specific program targeted towards first-year graduates from law school, it’s going to be difficult to obtain an in-house legal job right out of law school. That’s where it’s important to target internship opportunities during law school to in-house corporations. It’s much easier to convince the hiring staff of your capabilities if you’ve already proven your value and capabilities during an internship. Other opportunities may become available through mutual connections or discussions at a networking event that reveal the potential for an opening. 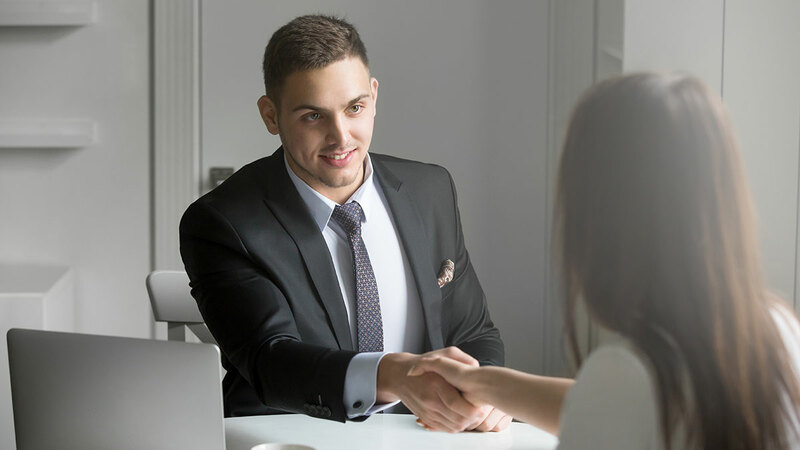 In these situations, you can utilize personal connections to get your resume into the hands of the right person. As an attorney that started in-house right after law school, I would say formalized training is definitely beneficial, but not something that should keep law students or corporations from employing recent graduates. I was able to build my own “first year associate” program through widely available online resources. Membership to both the American Bar Association and Association of Corporate Counsel (“ACC”) were vital first steps I took. The ABA, more specifically the Section of Intellectual Property Law, provided invaluable access to seasoned attorneys that I could reach out to for advice and mentorship. 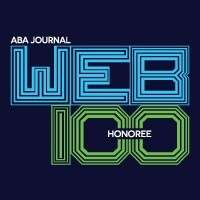 The level of knowledge within the ABA’s practice sections is unparalleled and I’ve never been turned away from someone. The ACC’s value is in the resources they provide that are specifically tailored to in-house counsel. The document and webinar database that is included in membership is phenomenal. They even have in-depth guidebooks put together for those attorneys that are new to in-house, in addition to a “New To In-House Committee” that holds practical webinars each month. When it came to learning the business side of being in-house, I turned to online courses from top schools such as Harvard and Stanford. Apple’s iTunes U offerings are full, semester-long courses that are portable and can easily be listened to as a podcast during a morning commute. One recommendation I have is to look at any certifications or working knowledge requirements for your targeted job openings. You should be able to find training resources for any technical or practical skills on a service like Lynda.com. Additional resources include edX and Coursera, which are massive open online course (“MOOC”) services and offer in-depth education for free and at your own pace. With the open access to continued education available via the internet, the opportunities for becoming more experienced in a particular topic are endless. Franklin Graves Franklin Graves is an in-house attorney in Nashville, Tenn., author of "The Law School Strategy: A Millennial's Guide to Getting a Job After Law School," and host of the How I Graduated From Law School With A Job podcast. He is a Young Lawyer Fellow with the ABA’s Section of Intellectual Property Law. He can be reached at franklin.graves@gmail.com.